Perfectly Delicious Oven Roasted Carrots was something Kiddo loved!!! Carrots in my house are salad food. In fact, I think the one way to get people to the table is saying we have salad, lots of it. Many times we prefer a salad for our dinner. But then try cooking; steaming the carrots and the kiddo and kiddos father will refuse to touch food. Mind you she does not mind shredded carrots in Idli, in fact, she asks why I have not added veggies in Idli. Try adding them to dosa and again it will be who asked you to add carrots. At times Mamma is totally confused. 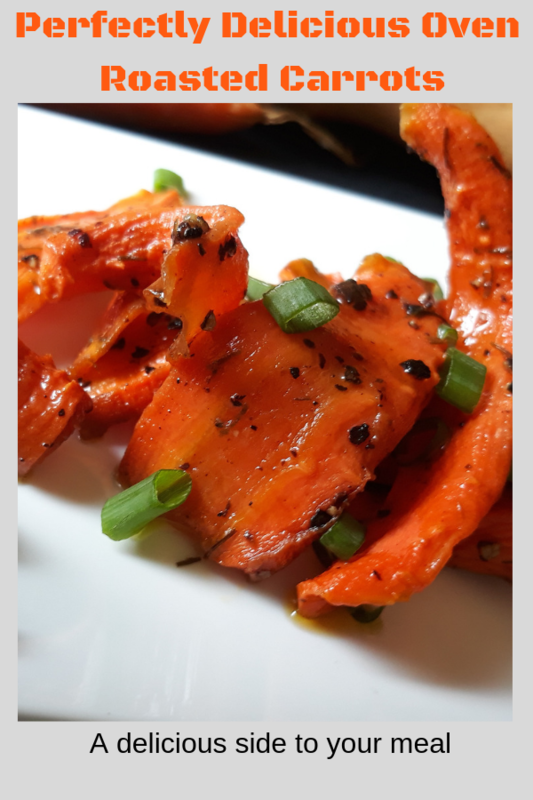 In this background, I have made these Perfectly Delicious Oven Roasted Carrots. The idea was if no one eats them I will snack on them. But they were so delicious, cooked yet crunchy kiddo loved it. I can think of different flavours in which oven roasted carrots can be made, honey garlic, Indian spicy masala, butter garlic are the basic ones then we can build on the flavours. Because Poonam whose turn it was in FoodieMondayBlogHop to suggest the theme has suggested #189Gajar Ka Jalwa. Gajar is Carrots in Hindi. 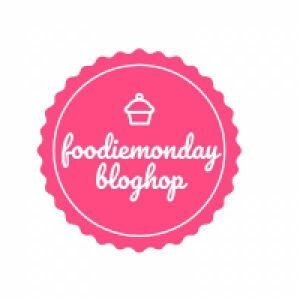 Poonam blogs at Anapurna and has an amazing collection of tasty and healthy recipes. There are some recipes I have to try the most recent one being Instant Quinoa Idli. Carrots are nutritive vegetables that are available all year the round. Carrot is a root vegetable, generally orange in colour, though purple, black, red, white, and yellow ones are available. Generally, the roots of carrots are eaten through the stems and leaves rarely are eaten by humans. The first solid food I introduced to my children was boiled carrots. But then you can cook, steam carrots. Try adding carrots to soups, stews not only they taste good they also add to the nutritive value of food. Carrots are used to make stock and broth for soups too. Being an Indian I had never thought beyond carrot raita, salad, in pulao or gajar ka halwa or gajar ka kheer. Recently I discovered this colourful and delicious Gajar methi ki sabji, and then there is Gajar Ka Halwa, Carrot Salad/ Gajari Kosambari, Bajra Carrot Cake| Pearl Millet Recipes| Millets Special. I made these oven roasted carrots from the Ina Garten‘s. I dared not change any of the ingredients. The only change I have made is the cutting of the carrots. I have sliced them. In Goa getting small and juicy carrots especially in the current season is a challenge. So the big fat carrots I have sliced in long lengthwise slices. Oven Roasted Carrots are a great accompaniment to any meal. Meanwhile, preheat the oven to 200C/ 400F. Slice the carrots lengthwise and add to a wide bowl. Since the carrots will shrink as they cook hence make the slices thick. Add the olive oil, salt and pepper. I added the dried dill too. Mix well. Arrange the carrot slices in the tray in a single layer. Roast them in the oven for 20 minutes till they are tender and slightly brown. Once the carrots cool down, check the seasoning and serve with pasta or pulao. I just love such fuss free recipes. 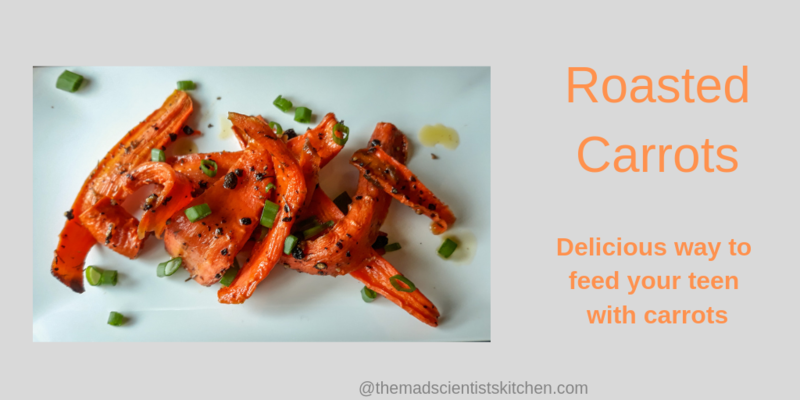 These oven roasted carrots with simple black pepper and salt seasoning sound perfect tea time munches ! 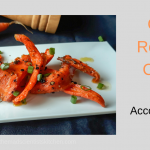 We love roasted carrots and I discovered this recipe when I shifted to US. Kids like this version more than having it in salads. Loved your recipe.. easy peasy, yet so flavourful and nutritious!! Loved this easy and quick recipe. Roasted carrots looks so crispy and delicious. Black pepper dill wow it must be also flavourful. I’m not a big fan of roasted carrots especially the fat sticks.I find them too sweet. However, I love your idea of cutting them into slices and keeping them a bit crunchy. Also wouldn’t mind having them with garlic butter. Yes, Mayurii Garlic Butter is an option for garlic lovers. I rather not speak about butter and garlic in my place. 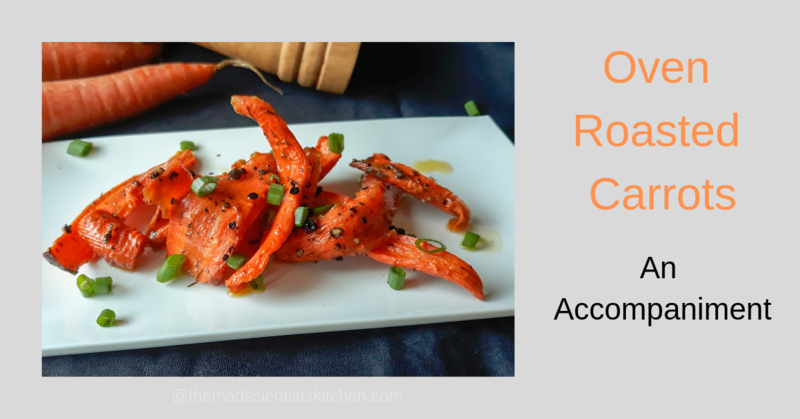 These oven roasted carrots make a delicious snack.Baked to absolute perfection Archana.Fantastic share.